Wrestling match. We are visitor. It was good. Long time since that happened, I hear. Yay team. 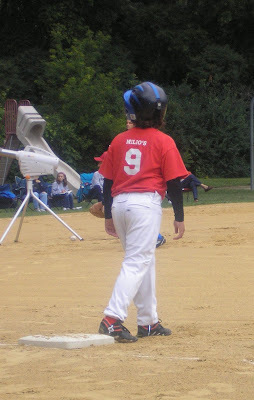 Sal’s baseball tournament. 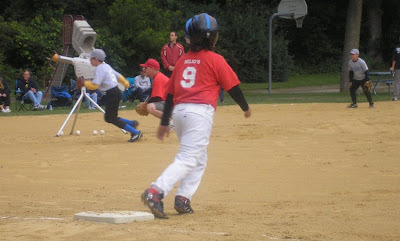 He’s on 1st getting ready to run. 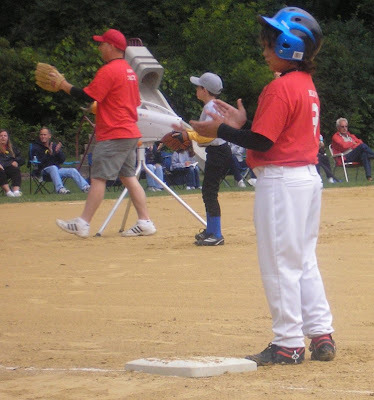 He waits, he claps and cheers on his teammate who is trying to hit the ball, he runs.